B&Q Sheds come in many different shapes and sizes, and you know you're getting a wide and quality choice of wooden, metal and plastic sheds from a name you can trust. The great thing about these B&Q sheds is you can take a quick look at one of their many regional stores around the UK or you can simply buy your B&Q shed online at B&Q website, diy.com. 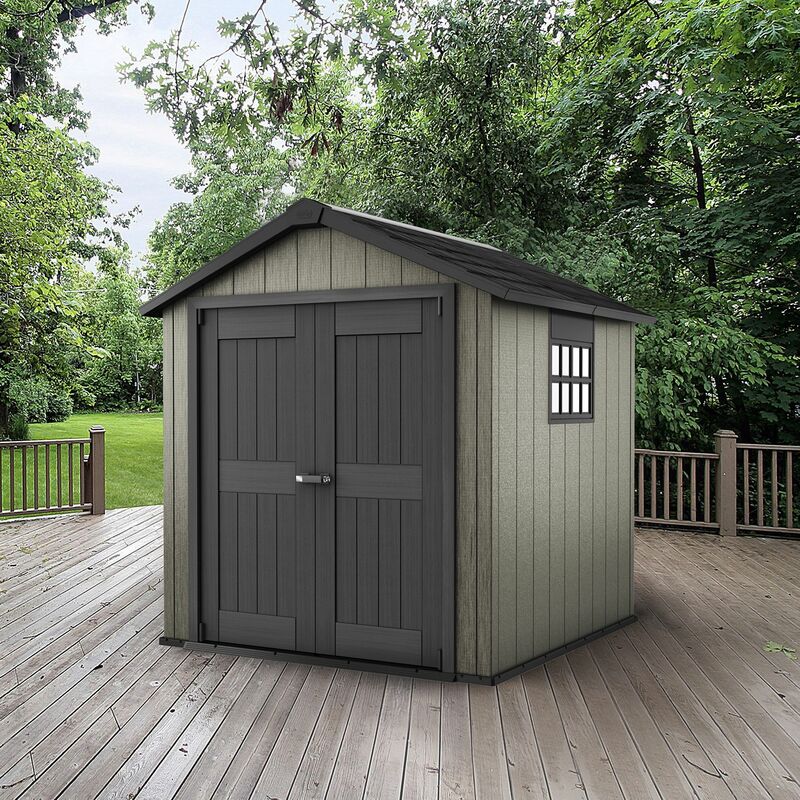 B&Q Wooden Sheds - The stylish and affordable wood sheds from B&Q start as little as £165 and come in many sizes to suit your yard or garden. These wooden sheds from B&Q come in three different construction styles which are Shiplap, Overlap and Tongue & Groove. The best seller in their wooden shed category is the 6x4 Apex Overlap Wooden Shed at just £198 which includes dip treated and guaranteed against rot for 10 years. B&Q also give helpful advice which includes a buying guide, a building guide for wooden sheds and also a guide on how to build a shed base. 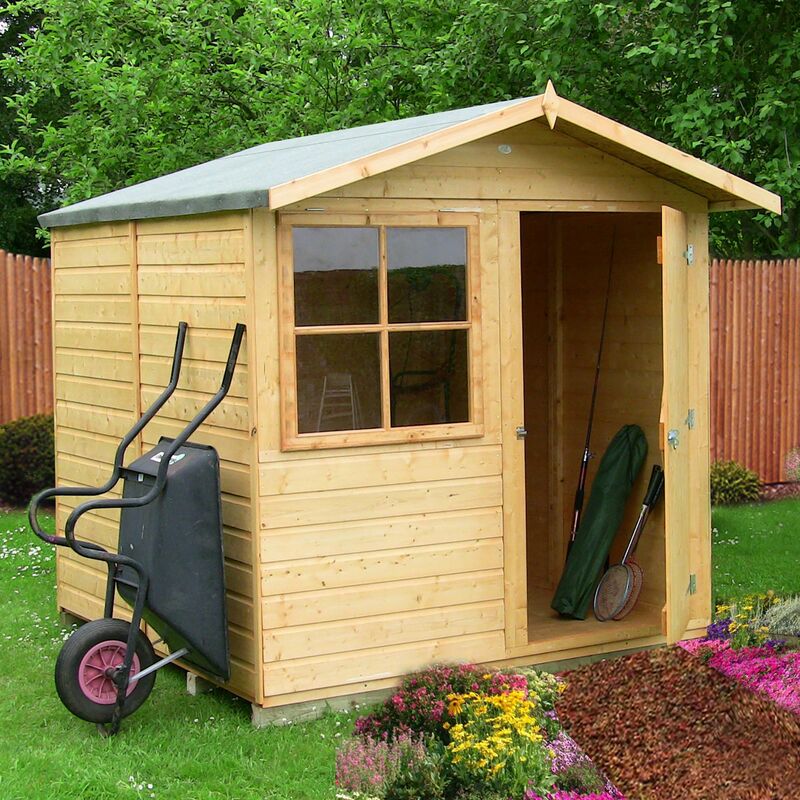 B&Q Metal Sheds - The metal sheds available at DIY.com aren't the biggest in number but they do provide quality sheds which include the Greenvale Metal Pent Shed, the Woodvale Metal Apex Shed and also the Greenvale Apex Metal Shed. Each shed comes in a minimum of 6x5ft, 8x6ft and 10x8 feet dimensions. 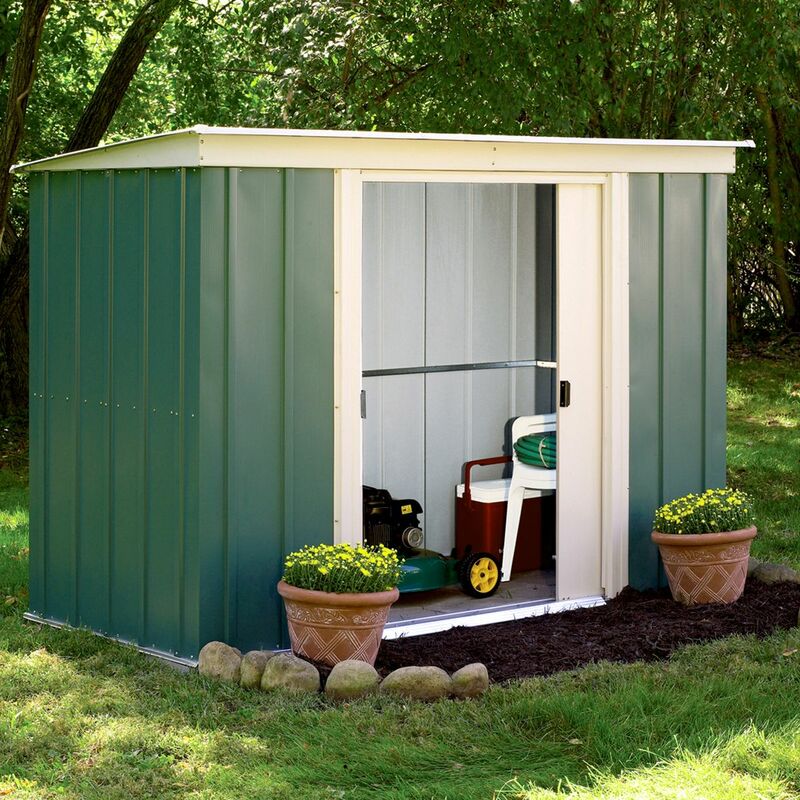 Features for these sheds made out of metal include painted and galvanised that protects them from rust, rot and decay, a 10 year manufacturers warranty against rust and are ideal for securely storage garden tools, lawn mowers and bicycles etc. 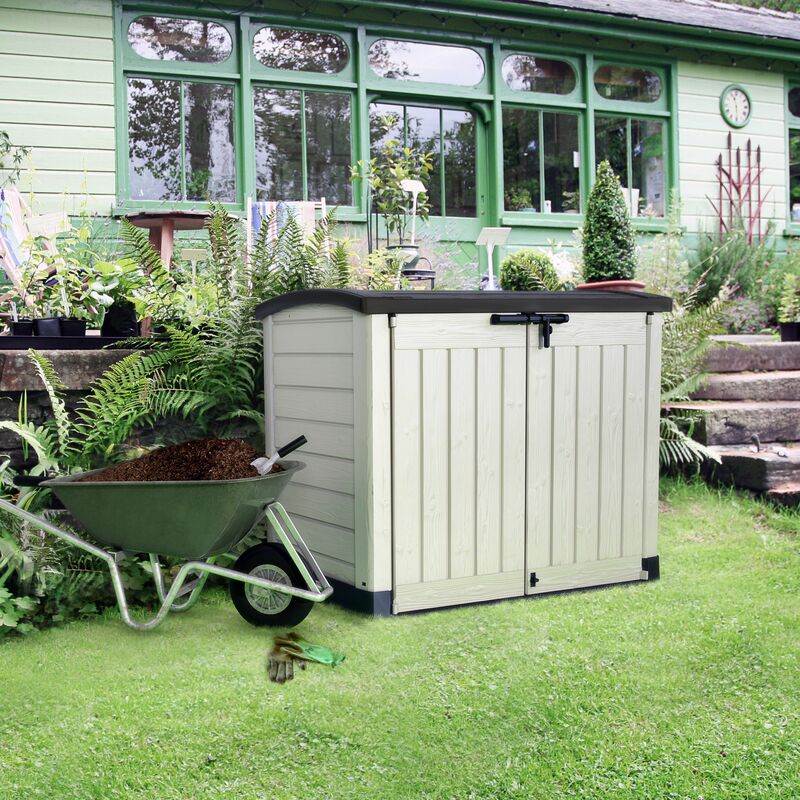 B&Q Plastic Sheds - The plastic sheds on offer from B&Q don't disappoint and come in a great range of sizes and footprints to suit any garden or yard. Some models include the Keter, Fusion and Apex and offer a great deal of protection against weather in any kind of garden. B&Q Bike Sheds - These bike sheds are perfect for storing bikes, garden toys, gardening tools and many other types of garden equipment. Not only do they keep them safe and secure but they also protect them against the elements and the bad weather. 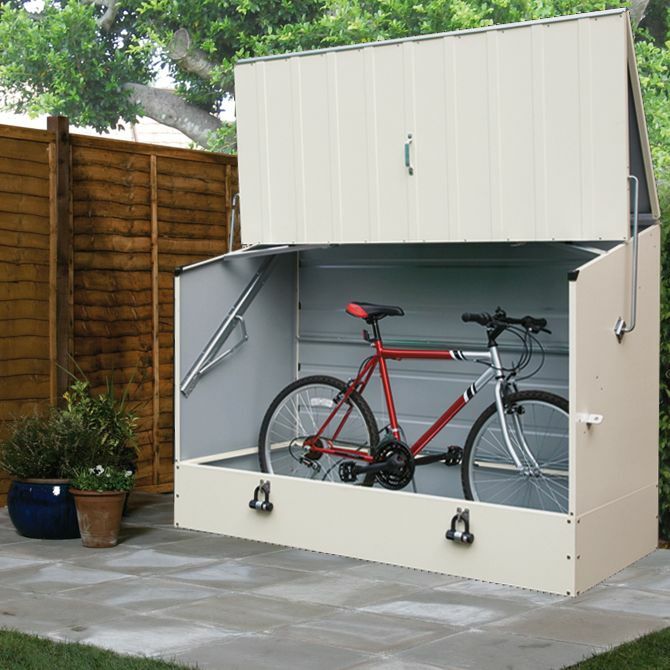 All you need to secure your garden tools and belongings is a great plastic bike and storage shed, a good lock and somewhere to give it a good home.